South Africa’s homegrown beer, Castle Lager. This iconic uniquely threaded supporter gear made up of prudently selected jersey strips from six unifying sporting moments in South Africa, was recently revealed in front of a packed to the rafters crowd at the Nelson Mandela Square ahead of Bafana Bafana’s Africa Cup Of Nations (AFCON) qualifier against Libya. The selected iconic moments woven into the jersey are the 1995 Rugby World Cup; 1996 AFCON; 1998 International Cricket Cup Champions Trophy, 2007 Rugby World Cup, 438 ODI and the 2010 Football World Cup. 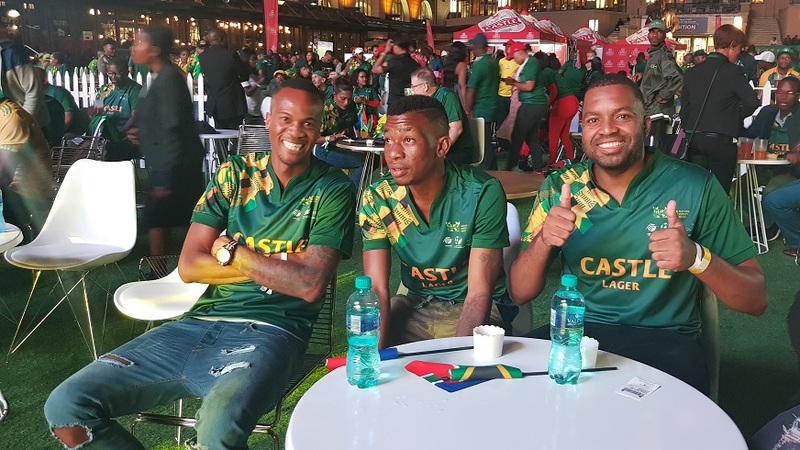 Organizers say, over the years, Castle Lager has managed to solidify its position as a national unifier through sports. They also divulged that, live football viewing session, which was attended by representatives of all three national sporting teams, is the first step that the much-loved beer brand is taking in ensuring that fans are ropped into the pride of a nation. They further revealed that, this newly revealed supporter’s jersey was manufactured with a strong intention to inspire the national teams and simultaneously fuel fan passion by providing them with an item that can be physically worn, thus weaving together a fabric of this nation. 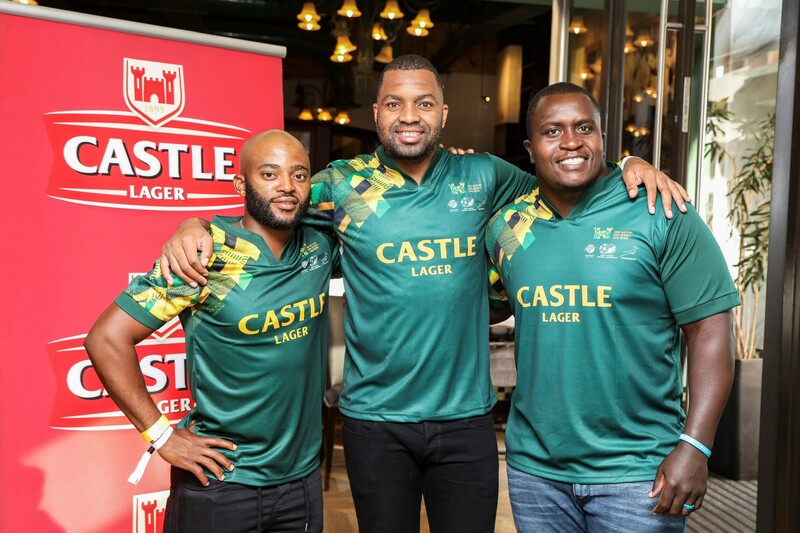 Speaking ahead of the jersey reveal and live match viewing, Castle Lager Brand Director Vaughan Croeser said as a sponsor they deemed it fit to do something unique for all three national teams, rugby, cricket and soccer. “This is a massive year for Football, Cricket and Rugby and it is rare to have all three senior national teams, potentially participate in major international tournaments in a single calendar year. “We are the only brand in South Africa that sponsors all three major national teams and as a result of such a truly empowering responsibility coupled with our belief in national unity, it was only befitting that we mark the year with a gesture that bears a significance. “There is absolutely nothing else that can bring people together like sports. We are thrilled about this big sporting year, and it’s potential to bring South Africans closer together. We are also excited about our jersey and the effect it will have on the teams when the fans are beaming with pride as they represent the country. With this jersey, we want to become one nation, drinking one beer, behind team South Africa ” Croeser argued. Sports fans can get the supporters jersey from the 15thof May 2019, by purchasing the uniquely designed limited edition One Nation One Jersey One beer packaging on the Castle Lager 500ml cans which will feature a collector’s series of the six greatest sporting moments. The 340ml and 750ml bottles will feature limited edition designs. One Response to "Castle Jersey"
I just want to know is this the case that I need to buy.